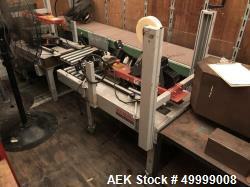 Used- 3M Adjustable Case Sealer with Top Tape Applicator, Model 110A. Currently set up for 2" tape. 1.9 amps, 220 watts. 1/60/115V.